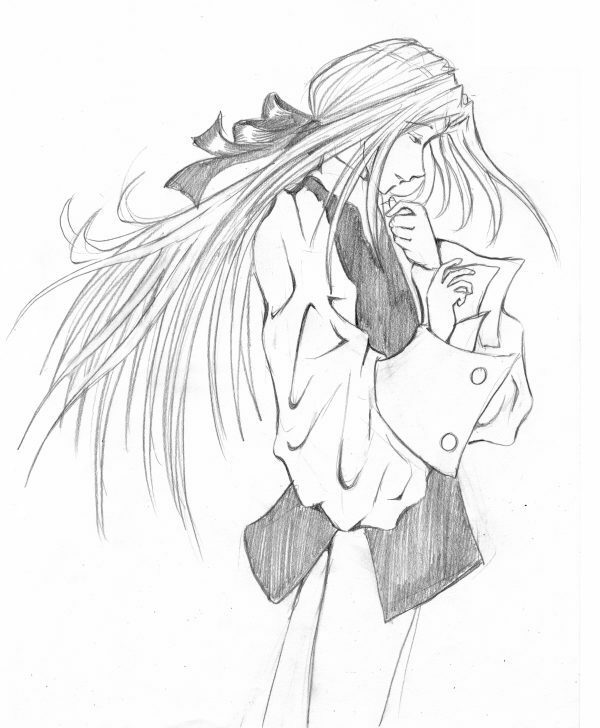 Pencil sketch of Saryth, done in later 2006. I was working on varying line widths. It's much easier when you can rub out bits ^^;; The pose is very much inspired by scenes from the Trinity Blood manga, whose protagonist also has white hair, although I hope the resemblance ends there.